Dec. 1, 2017 11:45 a.m.
A nine-year-old girl has died after being struck by a city bus Friday morning in the Lower Mainland. The child was struck at a crosswalk at an intersection in Abbotsford. She was taken to hospital, but did not survive. The driver of the bus remained at the scene and is co-operating, police say. “I, along with everyone at BC Transit, am extremely saddened to hear of the passing of the nine-year old girl involved in an incident with a BC Transit bus this morning in Abbotsford. Our hearts and thoughts are with her family and friends. Our thoughts are also with the driver and the other witnesses of the event including passengers on the bus. “BC Transit takes safety very seriously, and is cooperating fully with the Abbotsford Police Department, BC Commercial Vehicle Safety and Enforcement, and other partners to investigate what occurred. 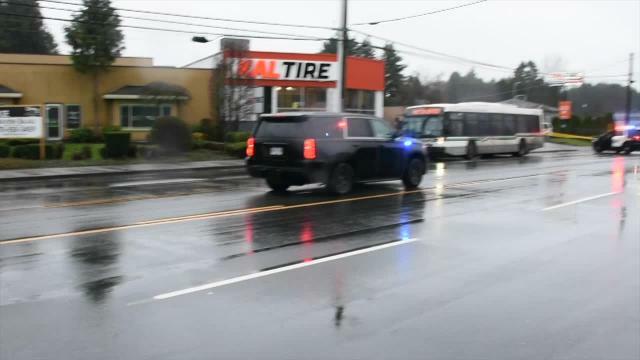 BC Transit will also be conducting an internal investigation to determine if there are any additional measures that can be taken to prevent this type of incident from occurring in the future.